Total area: 8,000 m². 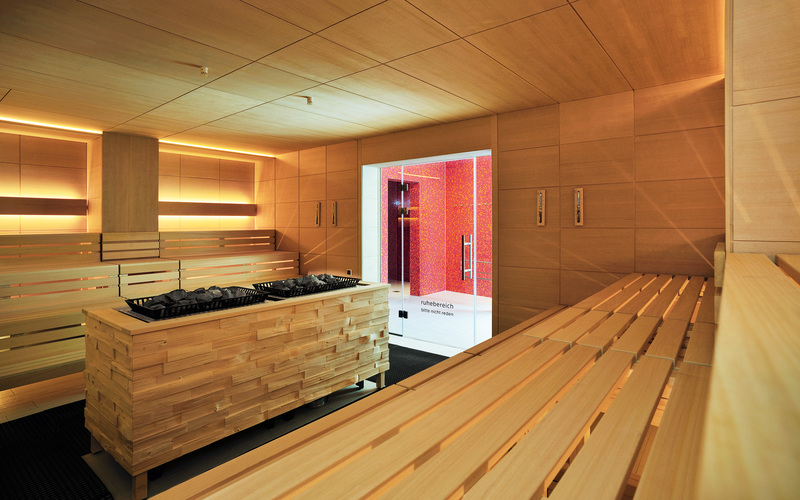 “Ship’s Bow” Sauna World extending over an area of 1,280 m². Classic sauna, SANARIUM®, steam bath, panorama sauna, experience showers, plunge tub, relaxation tub, relaxation areas, panoramic deck, sauna bar, massage and cosmetics centre. Thermal baths area of 3,270 m². Outdoor pool area extending over an area of 30,000 m², thereof pools of 2,280 m². 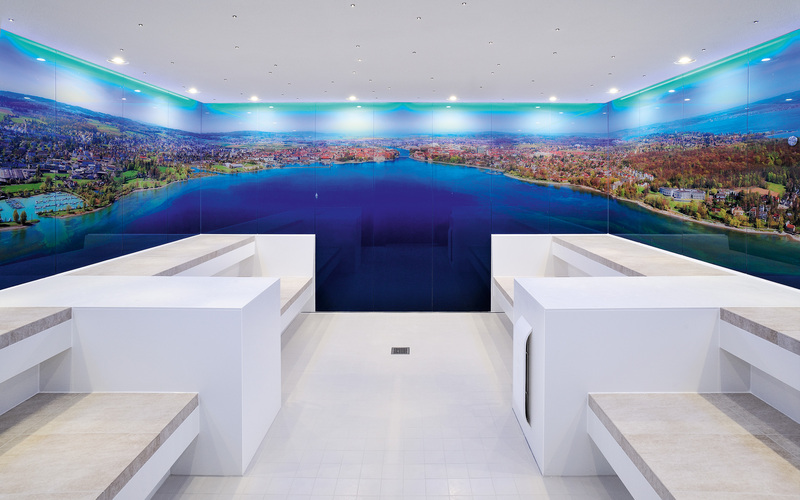 Embedded in the Lake Constance landscape, the spa is a homogeneous part of its natural surroundings. 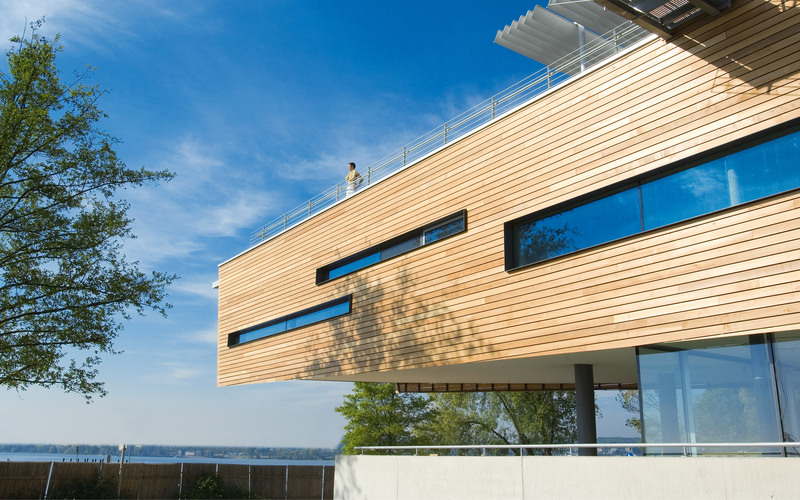 The complex conveys a streamlined sense of lightness, and offers remarkable views of the lake and mountains. Its interior features the finest of furnishings, down to the smallest detail. 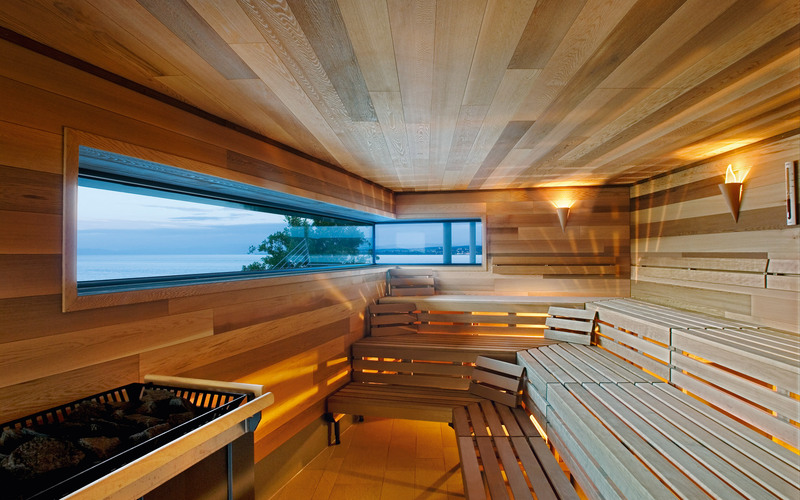 Organic forms with striking window fronts like those in the sauna are typical of the high aesthetic standards at the Bodensee-Therme.